A few weeks back while out on the hunt for the perfect apple orchard, we took a wrong turn which happened to lead us to the proverbial footstep of an animal shelter. The kiddos have been pleading in every which way for a new pup and have even gone so far as to hold a family debate to persuade mom and dad to take the plunge. When referring to pet adoption, the saying goes, "You don&apos;t pick them, they pick you." Well, let&apos;s just say no apples were purchased but our family of five is now complete with six! The time was right and we felt ready to open our hearts to a new pet. We lost our beloved Nashville several months back and while the feelings of loss are still lingering, the prospect of puppy love was just what we needed. While we were emotionally ready for a new puppy, we discovered there were a few items that are must-haves for pet owners that would have helped us to be more prepared. We are sharing them below so you have everything you need for a smooth transition. 1. Toys: This may sound like an obvious one but before your pet enters its new home, he or she should have its own stockpile of belongings. You don&apos;t want to be caught off guard with nothing to give your pup to keep him occupied so he isn&apos;t tempted to chew turn your neighbors high-tops into clogs (A-Hem!). Giving your new dog their own set of durable toys sets the expectations and lets them know from day one that they have things they can chew on and things they cannot. There are different toys designed for the various types of breeds and the folks at Petco really helped us pick suitable toys for Jack. We learned that he&apos;ll need different toys as he develops and that a variety of toys can stimulate him in different ways. 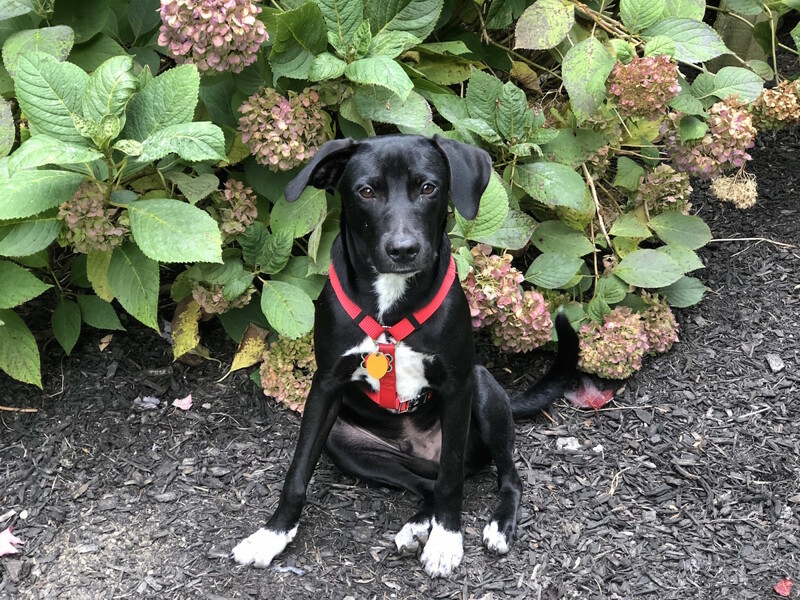 They also have a bevy of affordable training classes to help us transition Jack into our lives and help us teach him in an effective and speedy way. 2. Vacuum: Once you have a pet, keeping your floors, rugs or upholstery clean gets increasingly difficult. Not only do you have to manage the fur and the hair, you have to be prepared for tails that swing and cause spills, potential potty accidents and muddy paws. 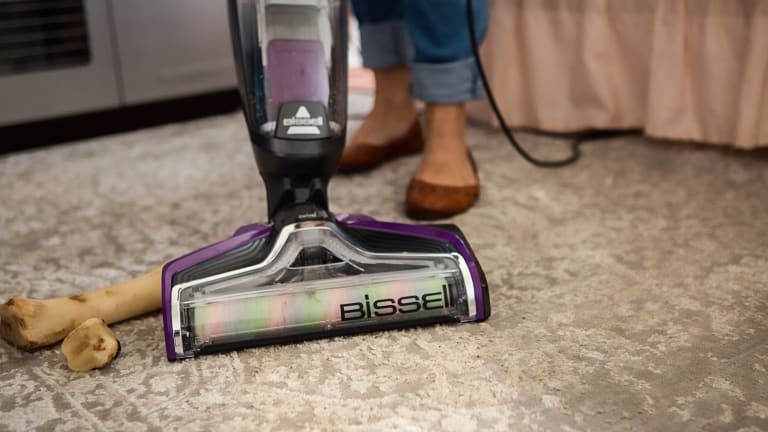 Having the Bissell Crosswave in our artillery helped treat and remove a stain in mere minutes with very little effort. 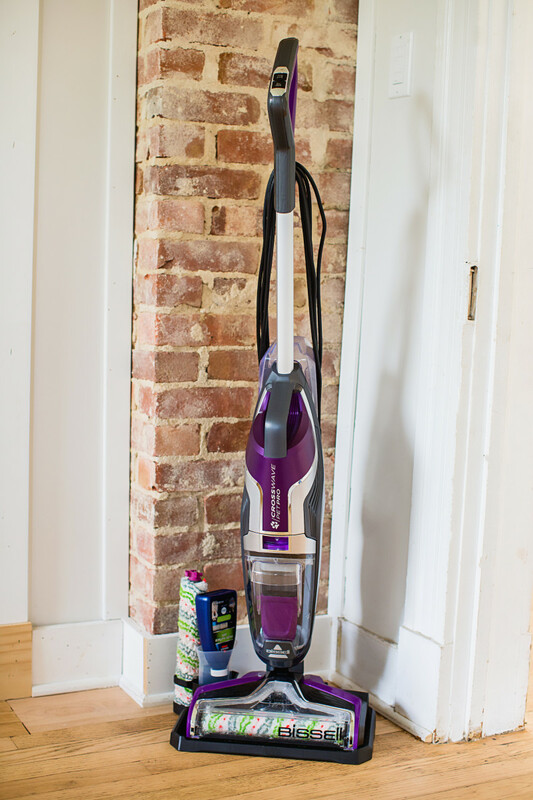 It is versatile; cleans both hard surfaces as well as area rugs and it a cinch to clean (in fact it&apos;s self cleaning!) and can tackle a variety of pet messes. The BISSELL® CrossWave® Pet Pro, delivers an unbelievable clean—even when it comes to tough pet messes. The Multi-Surface Pet Brush Roll makes pet hair cleanup fast and easy, while the pet multi-surface solution freshens and removes pet odors as it cleans. For upholstery and car messes we put the Bissell Little Green Portable Cleaner to the test and it delivered. Don&apos;t let its size fool you, this compact machine tackled stains and messes like a champ. It is easy to use, has a heated feature for tough messes and hard to remove stains and the various brushes allow you to remove all types of stains even in tricky areas. 3. Bed and Crate: You&apos;ll want to give your new pet a space of their own that is designed for just them. Dogs are den animals by instinct and they feel safe, secure and at ease when fitted with a proper crate. We purchased a crate appropriate for Jack&apos;s size and ensured it was as cozy and welcoming as could be. Our vet advised to place a blanket or throw over the top of the crate when it is "bedtime" so that Jack knows he is off-duty and can rest and relax. You&apos;ll also need a separate bed or cozy pillow for him to chill out on especially if you do not want your new sofa to be his spare space. Having these items from the beginning establishes routine, a division of space that is inclusive but distinct and allows your pet to transition to your home all while feeling safe, secure and welcome. Have you been considering becoming a pet owner? We have top tips to help you decide if you&apos;re ready for a new fur baby.